Tue, Fri | 8:00am | Mysore-style Ashtanga vinyasa yoga (teacher assisted self-practice). Sat | 8:00am | Week 1, 3 – Led counted Ashtanga vinyasa yoga; other Saturdays – Mysore-style. Sat | 10am | Week 1, 3 – Pranayama (yoga breath) & Meditation. Mon, Wed, Thu | 6:30pm | Mysore-style Ashtanga vinyasa yoga. Tue | 6:30pm | Led Ashtanga yoga for beginners. Wednesday | 12:30pm | Restorative yoga (guest teacher Kathryn Varley). Details of the classes, up to date schedule and sign up is below. We welcome both new and experienced yogis to Iriness. Our founder and in-house yoga teacher, Irina, is a student of John Scott and teaches a personalised approach for every student. Iriness prime focus is spreading the method of Ashtanga vinyasa yoga. This is a dynamic practice, where postural sequences are predefined and linked with the breath (Ujjayi), energy locks (bandhas), and gazing points (drishti) to create a meditative flow of awareness of our body and mind. It aims to focus deeply within and enable practitioner to integrate senses and experience states of higher intelligence, or consciousness. This method is recommended to practise regularly (4-6 days a week), which will develop strong, mobile body and peaceful mind. Most of our classes are Mysore-style, i.e. the teacher works with each student on 1-2-1 basis in the setting of a small group. This way each student can go with her or his own pace, breath and abilities. We gather in a small group, with each student learning the sequence at their own pace directly with the teacher. Your yoga practice is your own and it’s important that we find you the routine most suited to your gender, age and current state of mind and body. This routine will support you physically and mentally and we’ll be there with you every step of the way. Online sign up is required before every regular class. There is no drop in at Iriness. If you can’t attend a class, please, deregister at least 6 hours before a class or your credit=class pass will be deducted from your account. We advise you to bring your own mat (more hygienic). Beginners can borrow our mats. Please bring a hand towel and yoga mat towel. Please come to practise on an empty stomach and refrain from drinking during the practice. Please visit our About page for more information. To find directions to Iriness, please check our Contact page. For our detailed etiquette, please visit our Etiquette page. Mysore-style class (teacher-assisted self-practice) is 1h30 and for all. Ashtanga vinyasa yoga is a dynamic practice of the progressive sequences of postures, synchronised with breath. 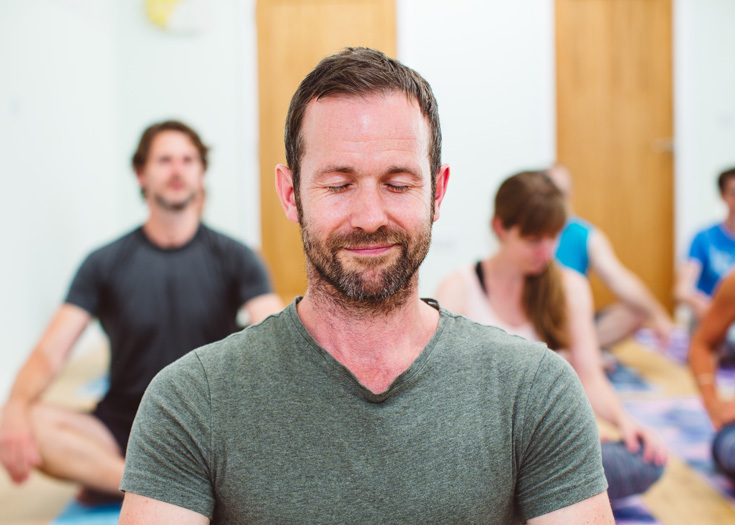 During this powerful practice we develop awareness of the mind and body through a diligent connection of breath, postures, energy locks and gazing points. Regular practice of Ashtanga vinyasa yoga improves circulation and purifies, strengthens and balances the body and mind. This gives us a mobile, strong body and a steady, peaceful mind, which enables us to experience our lives as whole and unified beings. 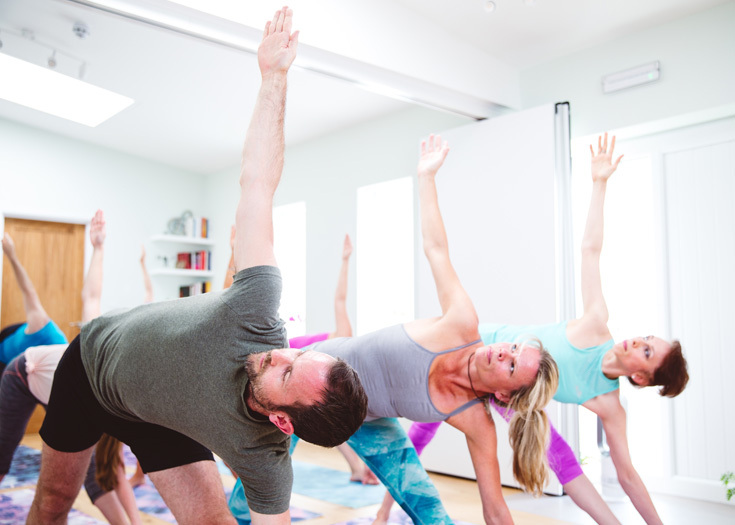 Mysore-style is one-to-one practice with the teacher in a setting of a small group. Led counted Ashtanga vinyasa yoga class of 1h30m is for the students with the regular Ashtanga vinyasa yoga practice of more than 3 months. Led counted class is traditionally counted in Sanskrit and students are led through the Standing, Primary and Finishing sequences of Ashtanga vinyasa yoga. Please arrive 5-10 min before the class to find your seat. Yoga class for beginners is 1h30m class for new to yoga, new to Ashtanga yoga and for our students, who practise less than twice a week. This class is led by Irina and introduces step-by-step Standing, Seated & Finishing sequences of Ashtanga vinyasa yoga, accompanied by breathing, meditation and relaxation techniques. Yogic breath (pranayama) & yogic meditation class of 1h is for all and offers powerful tools of yoga cleansing (kriya) and breathing (pranayama). Pranayama practice balances left & right hemispheres, nervous system, extrovert & introvert features of our psychology. It is considered the most important power for health and spiritual development, helping to cure and prevent diseases and restore the harmony of body and mind. Learning pranayama leads us to yogic (kundalini) meditation practices, which will be always explored during this class. Restorative yoga class of 1h is the gateway to stress release through deep relaxation and release of tension to enjoy improved mobility to help you live better. Class is led by Kathryn Varley. Full info and sign up here. Follow the ‘Sign up & Pay’ link next to each class to book your space. If you cannot book online, contact us and we will sign you up. Visit our Prices and My Account pages to learn about our reservations and payment system. Please make sure to sign up online before every class and deregister at least 6 hours before a class, if you cannot attend; otherwise your class credit=class pass will be deducted from your account. If you attend series of Gentle yoga, you don’t have to sign up for each class. Cancellation is 14 days after the purchase. If you can’t attend a particular class, please email your teacher. Our studio has been built to provide you with a space of wellbeing: it’s full of light, warmth, and coziness. We’ve added underfloor heating for maximum comfort on winter days, ambient lighting to uplift your spirit, and practical amenities such as two toilets and a kitchen. We’ll provide you with mats, props, blankets and hot drinks on a cold day or cold drinks on a summer’s day. We’ll always leave time between lessons so we can chat, share experiences and enjoy each other’s company. Looking for a private class? 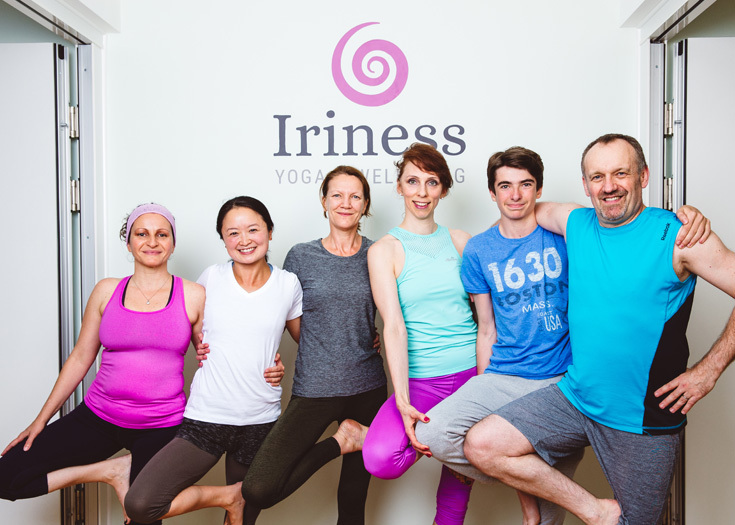 If you’re new to yoga or already practise the first or second series of Ashtanga, Irina offers 90 minute one-to-one tuition classes at Iriness, Victoria House, Victoria street. Cost: £65. Contact us to book.